With a stay at La Dolce Vita - Luxury House, you'll be centrally located in Agrigento, within a 15-minute drive of Valley of the Temples and Viale della Vittoria. 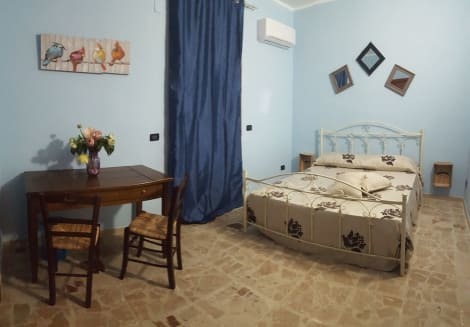 This bed & breakfast is 5.2 mi (8.4 km) from San Leone Beach and 11.1 mi (17.9 km) from Scala dei Turchi. Stop by the hotel's restaurant for lunch or dinner. Dining is also available at the coffee shop/café, and room service (during limited hours) is provided. Unwind at the end of the day with a drink at the bar/lounge or the poolside bar. Buffet breakfasts are available daily from 7 AM to 10 AM for a fee. Enjoy recreation amenities such as an outdoor pool or take in the view from a garden. This hotel also features complimentary wireless Internet access, a television in a common area, and a banquet hall. Make yourself at home in one of the 27 air-conditioned rooms featuring minibars. Your Select Comfort bed comes with down comforters and Frette Italian sheets. Complimentary wireless Internet access is available to keep you connected. Private bathrooms with bathtubs or showers feature rainfall showerheads and complimentary toiletries. This smoke-free bed & breakfast was built in 1951. With a stay at Hotel Tre Torri in Agrigento, you'll be within a 10-minute drive of Valley of the Temples and San Leone Beach. 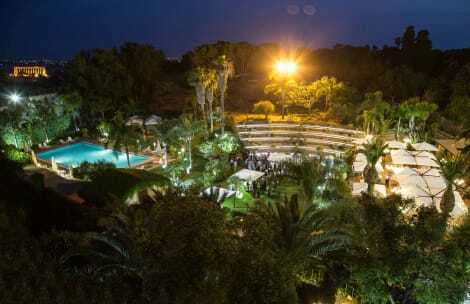 This hotel is 9.6 mi (15.5 km) from Scala dei Turchi and 2.4 mi (3.8 km) from Temple of Juno Lacinia. lastminute.com has a fantastic range of hotels in Agrigento, with everything from cheap hotels to luxurious five star accommodation available. We like to live up to our last minute name so remember you can book any one of our excellent Agrigento hotels up until midnight and stay the same night.